40 year old James Toney showed he still has what it takes to contend for a world title with a 12 round split decision win over Fres Oquendo last night at Morongo Casino in Cabazon, CA. 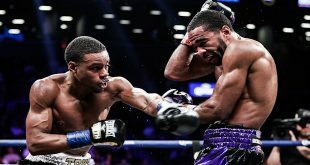 Toney showed flashes of his former brilliance with crisp combinations but Oquendo looked to stay away from the former three weight world champion in the early rounds, waiting for the aging Michigan man to eventually tire. And tire he did, allowing Oquendo the chance to work in the later rounds, but the 35 year old Puerto Rican sabotaged his chances by losing a point in the eighth frame for low blows. 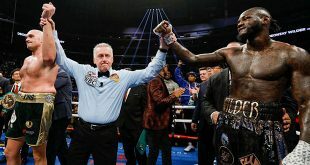 In the end, it was Toney who got the victory, edging out Oquendo to win the vacant IBA and WBO NABO titles to improve to 71-6-3 (43), while Oquendo falls to 29-5 (18). 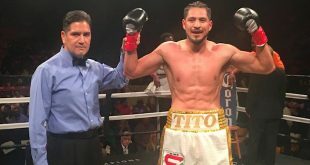 On the undercard, super middle prospect Andre Ward, 17-0 (12), impressively stopped Mexico's Esteban Camou, 23-5 (19), in the third round and heavyweight Eddie Chambers, 33-1 (18), won his third in a row by outpointing Cisse Salif, 23-12-2 (21), over eight and heavyweight prospect Malik Scott, 32-0 (11), did the same against opponent Raphael Butler, 34-8 (27).